I recently took my first poetry-writing workshop since my freshman year in college. And really, that first course wasn’t even a poetry class; it was a 101, with a few weeks spent on poems. A lot of my classmates—like me—were planning on ultimately focusing on fiction or non-fiction to complete their major in Creative Writing, so we rushed through weeks of poetry as fast as possible and treated our poems like little throwaway scraps of language, all broken up into lines. (I also vaguely recall giving a long rant against the sestina as a form.) So for all intents and purposes, I took my first poetry writing class about a month ago—and I walked away from it a better fiction writer. Specifically, it made me more confident in experimenting with different constructions of language to create the type of pieces that I want to write. I like using repetition in fiction prose. I like repeating sentence structure for effect; I like using the same words two, three, even four (four!) times per paragraph. Or (gasp!) twice in one sentence. My poetry class illuminated for me the difference between how poets and fiction writers regard repetition. Repetition is one of the tools in a poet’s toolbox. Its use is encouraged, practiced and discussed. Sometimes poets use their repetition tool badly, sometimes they use it well, but rarely if ever is the validity of repetition as a tool questioned. But in fiction writing, at least in my experience, repetition as style is not really discussed. In a workshop setting, repeated words are pointed out to the writer so they can edit them away; they are considered sloppy, part of the way almost all first drafts are sloppy. I agree that repetition without intention can be toxic to a fiction writer’s prose, but it shouldn’t be taken out of the toolbox altogether. Repetition with purpose can be a powerful thing in fiction, and it should be discussed more often. 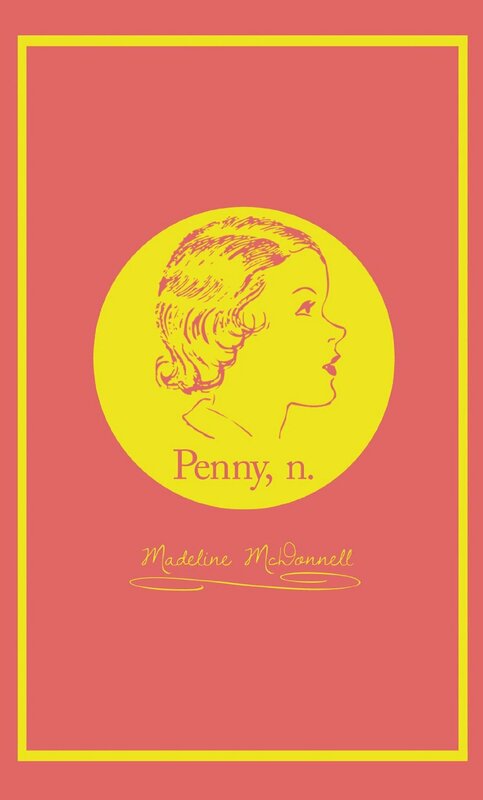 I solidified my viewpoint on repetition while reading a recently published novella by Madeline McDonnell called Penny, n. Penny repeats words, song lyrics, phrases, and little made-up mantras (“Hello my name is Plain Penny, I have never been pretty!”) to build her identity, and to change her life. McDonnell also uses repetition to draw attention to her characters’ failings, and to telegraph the inevitability of Penny’s fall from grace during a drunken maid-of-honor speech at her former best friend’s second wedding. I also like the way McDonnell uses repetition to distort meaning. “Hello my name is Plain Penny” gets elongated into a string of vowels, diagramed into its metrical signature, and otherwise repeated five times in a single passage. By the final time the words were repeated, I had lost its direct sense, but I’d gained more insight into Penny’s particular psyche. When a writer repeats words and phrases, they can break away form the usual way someone reads a word and make language have a different kind of emotional weight. Other language tricks can have similar results. For example, in another recently published novel, Very Recent History, Choire Sicha disrupts a word’s meaning by abstracting it, then defining it. While McDonnell’s style of repetition is very different from Sicha’s of abstraction, they share an end-goal: to get the reader to pay attention to language. Using repetition, McDonnell succeeds.